AbbVie is expanding its oncology hub on the West Coast, with three sites in the San Francisco Bay Area (Redwood City, South San Francisco, and Sunnyvale) focused on the discovery and development of novel oncology therapies. More than 1,000 AbbVie scientists, clinicians, and product developers with strong entrepreneurial roots work across these three sites. They combine their expertise in immuno-oncology, stem cells, and cell-signaling with their knowledge of bispecific antibodies, antibody-drug conjugates (ADCs), and covalent-inhibitor technologies to discover and develop novel cancer treatments. 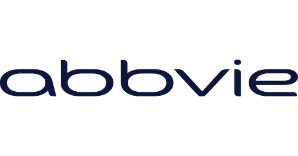 AbbVie is also expanding their expertise through partnering with companies leading the way in emerging biologic technologies including oncolytic virus’ and CAR-T cells.